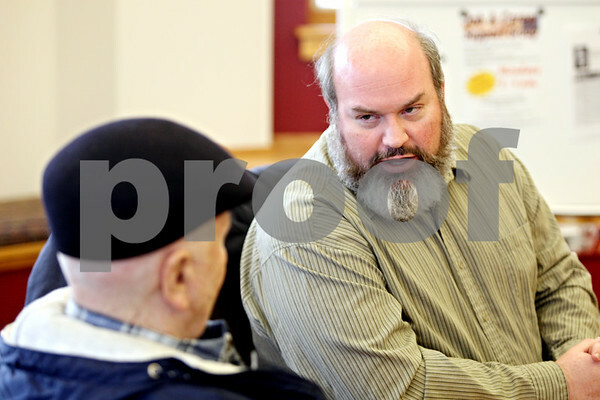 Tom Conley, Career Resource Center Coordinator at Kishwaukee College, talks with a member of the Sycamore Job Club during a visit to the club's meeting at the Sycamore Public Library on Monday afternoon. Conley was asked by the club to discuss the outlook of jobs in Dekalb area. The club meets every Monday from 2-4 p.m.